Whitworth University’s vision of becoming a community where the richness of an education of mind and heart is available to all people will gain a new champion with the appointment of Lawrence Burnley as assistant vice president for intercultural relations. Burnley currently serves as associate dean for multicultural programs and special assistant to the provost for diversity affairs at Messiah College, in Grantham, Penn. He brings 15 years of higher education and church experience to Whitworth, where, beginning Jan. 1, he will provide leadership in strategic planning, curriculum development and faculty training in support of the university’s goal of producing interculturally competent graduates. A respected teacher and scholar on African-American education in the antebellum, reconstruction and progressive eras, Burnley also will serve on the faculty of the history department and will teach several courses per year. "The search committee and the campus community had very high standards and an outstanding pool of candidates from across the country as we sought to fill this very important position at Whitworth," says Michael Le Roy, vice president for academic affairs and dean of the faculty. "However, we had no difficulty recognizing that Dr. Burnley’s knowledge, skills, and values make him a great fit our community." Le Roy looks forward to the vision and leadership Burnley will bring to Whitworth students, faculty and staff and to the larger Spokane community. "Larry is a Christ-centered person with an understanding that a commitment to just relationships is derived from a sincere effort to follow Jesus," Le Roy says. "And he also is an academic leader, teacher and scholar who can balance pastoral sensitivity with the prophetic word and lead Whitworth to the next level in its efforts to develop an intercultural campus." Whitworth’s strategic plan calls for strengthening the intercultural competencies of its students, faculty and staff; enhancing efforts to ensure Whitworth is a welcoming community to all people; and expanding curricular and co-curricular programs related to intercultural relations. The Council for Christian Colleges & Universities presented Whitworth the 2008 Robert and Susan Andringa Award for Advancing Racial Harmony for its vital role in launching the successful Act Six Leadership and Scholarship Initiative and for its other diversity commitments. Burnley, who will join President Bill Robinson’s senior leadership team, said that joining the faculty and administration of Whitworth as it seeks to become the community God calls it to be is an exciting and challenging opportunity. "Whitworth University has placed itself in a position of leadership among Christian colleges and universities with regard to its demonstrated commitment to diversity and intercultural relations," Burnley says. "The senior administration of the university understands that a faithful response to God's love and grace, as well as the achievement of sustainable academic excellence, is not possible without such a commitment." Burnley continues, "Without question, learning to live harmoniously and equitably while purposefully embracing the diverse dimensions of the human experience is fraught with many challenges. It's a journey many individuals and institutions choose to avoid. However, this is the journey Jesus made and we are invited to follow. Whitworth University has chosen to accept the invitation of Christ and I'm both humbled and honored to have the opportunity to join the faculty, staff, administration and students on this journey." Burnley holds a B.A. 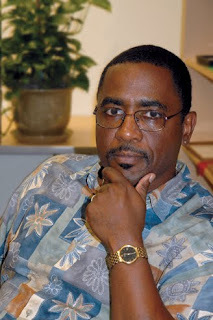 in African American studies from the University of Cincinnati, and a Ph.D. in education from the University of Pennsylvania, where his dissertation focused on the role of African Americans in the founding of African American schools associated with the Christian Church (Disciples of Christ). He also holds an M.Div. from Christian Theological Seminary and is ordained in the Christian Church (Disciples of Christ). In his current position at Messiah, Burnley leads a comprehensive diversity strategic plan for the campus; offers training and professional development in multicultural competencies; chairs the racial justice and multicultural education committee; and oversees the day-to-day operations of the Office of Multicultural Programs. He previously served as executive for racial/ethnic relations for global ministries of the Christian Church and the United Church of Christ, and as director of the Greenfield Intercultural Center at the University of Pennsylvania. He publishes and speaks widely and has received numerous awards for his scholarship and service to academia and the church.